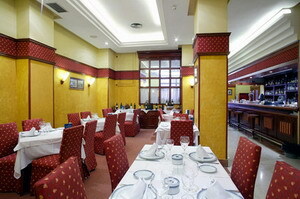 Opened in 1993 and built in a neo-classical style, the Hotel Monte Puertatierra is located on the main avenue in Cadiz and lies 500 meters from Santa Maria del Mar beach. Guests can play a set or two of tennis on the onsite court before sampling traditional Spanish cuisine in the hotel restaurant. A selection of five conference and meeting rooms are available for hire, seating up to 220 people. 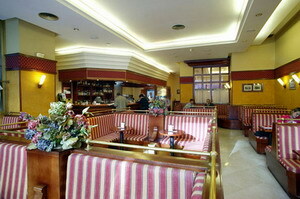 The hotel's cafeteria serves tapas, traditional dishes and delicious cakes. 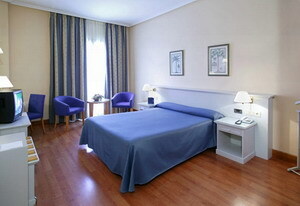 Alternatively, room service is available for guests wishing to take meal or refreshments in their room. Those keen to venture out can find many examples of Cadiz's famous Baroque and Neo-Classical architecture close to the hotel; these include the Royal Prison and Casa Lasquetty, both less than a kilometer away. 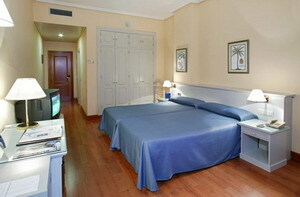 The hotel is 45 kilometers from Jerez de la Frontera Airport. 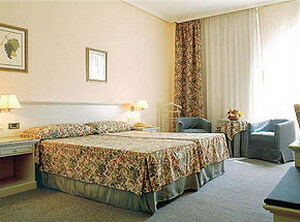 Guestrooms: Guestrooms are bright, modern, decorated in a neo-classical style and include air conditioning, balconies, cable televisions and minibars. Taxis are readily available outside the airport and cost around 40 eur to Cadiz. 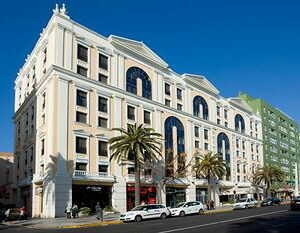 Driving from the airport, take the Calle Porvenir and turn left onto Plaza Madre de Dios. 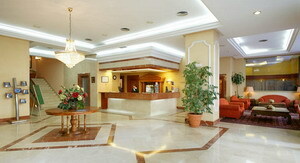 At the roundabout, take the 3rd exit onto Calle Cartuja and turn right onto Avenida Medina Sidonia. Turn left on to the A-381 and head towards Cadiz, Autopista de Peaje Via Autopista Del Sur/Ap-4/E-5. Take the N-443 until Cadiz. Turn right on to Ca-33 and right again onto Avenida de Jose Leon de Carranza. Continue on to Avenida Cayetano del Toro, Avenida Ana de Viya and then Avenida de Andalucia.